The best live casino games to play are the ones which best create the experience of a real-life casino. Players want more than random number generator (RNG) table games, where you essentially play against a computer. 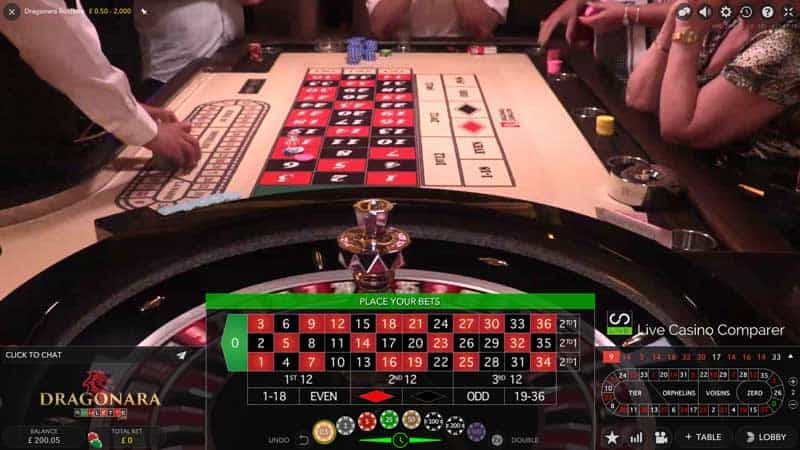 Instead, the modern player wants to play real live casino games via HD streaming, with a live dealer handling a real roulette wheel, set of dice, or deck of cards. 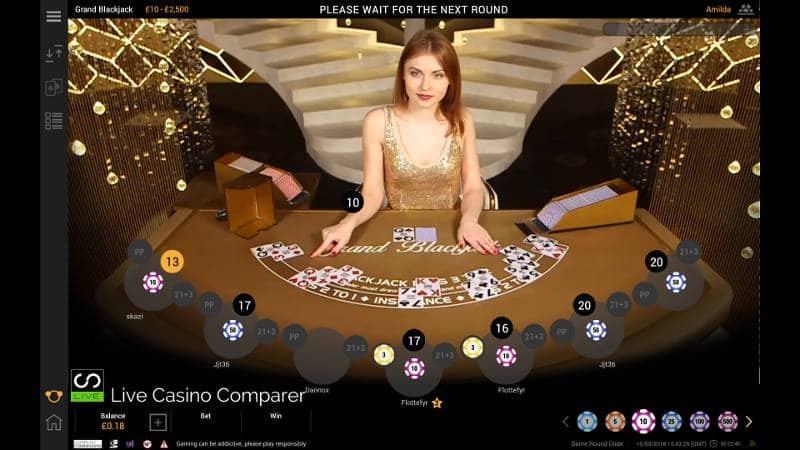 What should I look for in the best live casino games? As the technology improves, the closer to reality players expect the experience to be. 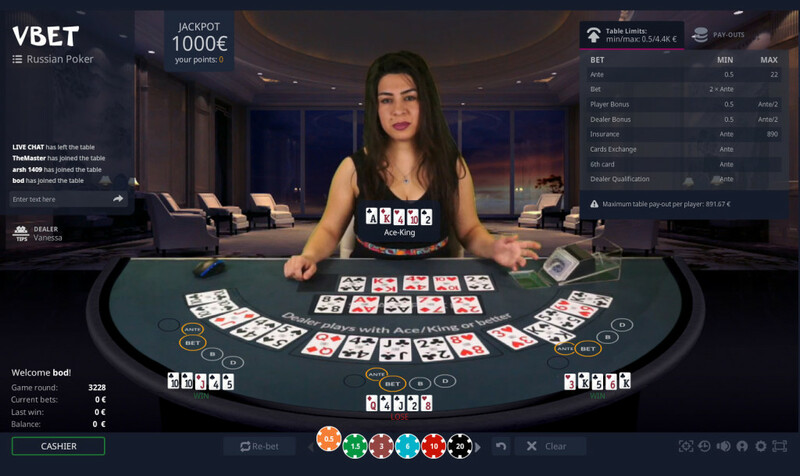 This gradual shift has seen a number of the live casino game software providers enhance their product sets so they have more table game coverage and can offer them on PC and mobile platforms. What’s great news for us is they’re creating feature-rich products that can be played on PCs and mobiles without the need for clunky downloads or apps. However, the mobile market is maturing. So, while you will find restrictions on the games that are available and the devices you can use to play them at the moment, this is likely to change in the future as well. My mobile live casinos page has the most up-to-date information on the best places to play via mobile. 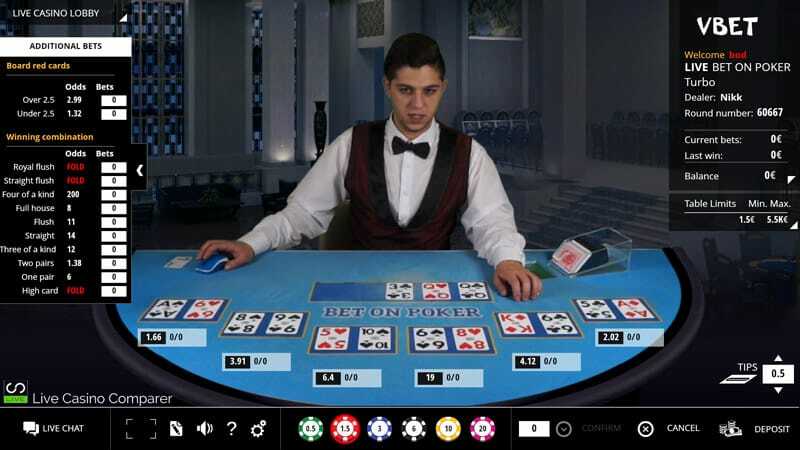 There are two main versions of live blackjack online: seven-seat blackjack (which involves seven people “sat” at a virtual table with seven different hands) and unlimited blackjack (which involves just one hand that an unlimited number of people can play at the same time). You’ll find that blackjack side bets are not offered across the board, and the local rules of each casino differ on doubles, splits, and surrenders. I’ve detailed everything you could wish to know about these in my blackjack features and blackjack side bets pages where you can see which live casinos offer which kind of live blackjack. My personal choices for playing blackjack are BetVictor and Unibet because they have all the side bet options you could want. Celtic Casino also gets my vote because it offers blackjack with early payout, as well as side bets. 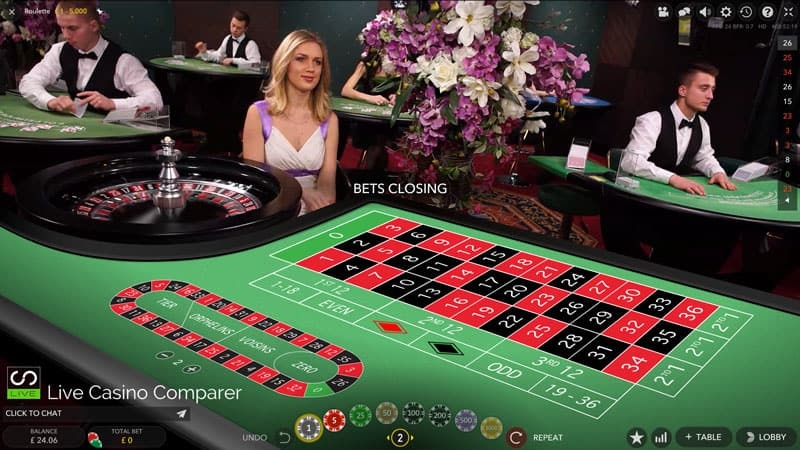 Roulette is probably the most popular of all the live casino games. You can find European roulette at all live casinos, but American roulette is harder to find. It’s for this reason that I’d recommend Fairway Casino. Not only can you play European and American roulette at Fairway; you can also practice play for free! Still, with regards to European roulette, most casinos pretty much offer the same game. At that point, it’s down to personal choice — whether you like the dealers, the user interface and the stake options. That said, it’s also worth looking to see which live roulette games offer la partage. This slight player edge is available at Unibet and Bet365. There is also an increasing number of native language tables being added by most providers, so if your first language is not English you should be able to find a local language version. Automatic roulette is also a popular option with many live casinos. This is where a real roulette wheel is spun by compressed air and the results read by a computer. You see more and more of these in land-based casinos as well as online. For my money, they are a good alternative to the RNG software roulette games. If you’re interested in learning more then my live roulette page gives more details on how to play. Popular across all Asian countries, most live casinos offer live baccarat. It’s one of the few games that comes in a number of versions. Traditional baccarat is available everywhere. Evolution Gaming, a software provider used by most of the best live casinos online, also offers speed baccarat for those that like a quicker game. There is also baccarat squeeze, which has the dealer squeezing the cards, and controlled squeeze, where the player can do the squeezing. Playtech also offers its own version of squeeze baccarat. It also offers prestige mini baccarat with squeeze, as well as single and multiplayer tables. All of the best live baccarat games online come with some form of side bets. My page on side bets gives further details about which casinos offer what side bets. 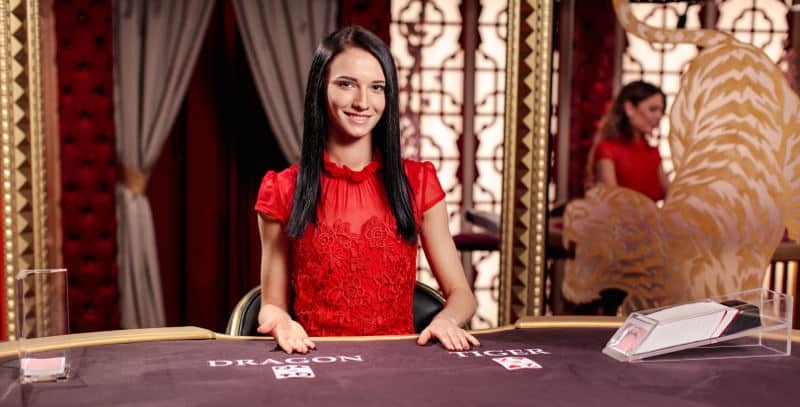 One final note about baccarat, for a more traditional experience, you should play at the East Asian dealing studios which are featured at Betfair and Bet365. The reason for the superior quality of East Asia is this is where baccarat is the most popular. In Macau, 91% of all casino revenue comes from baccarat alone. Casino hold ‘em is a poker-derived game where you are playing Texas hold ’em poker but against a dealer. The player and dealer are dealt two cards. 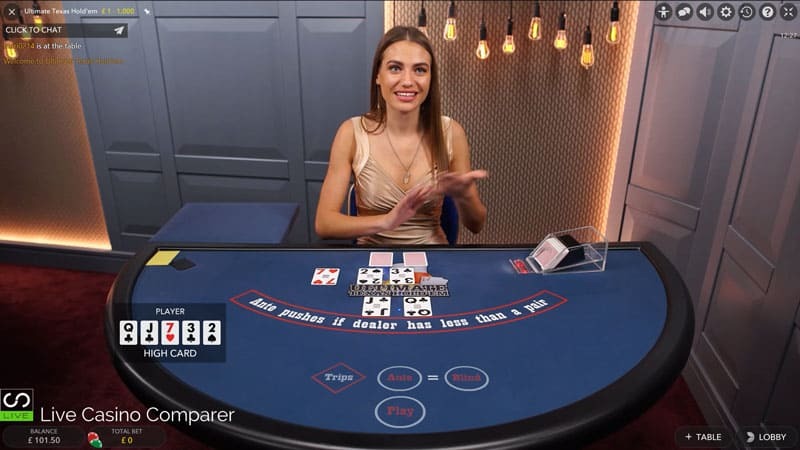 You decide on whether to fold or continue with the hand if you think you can beat the dealer. 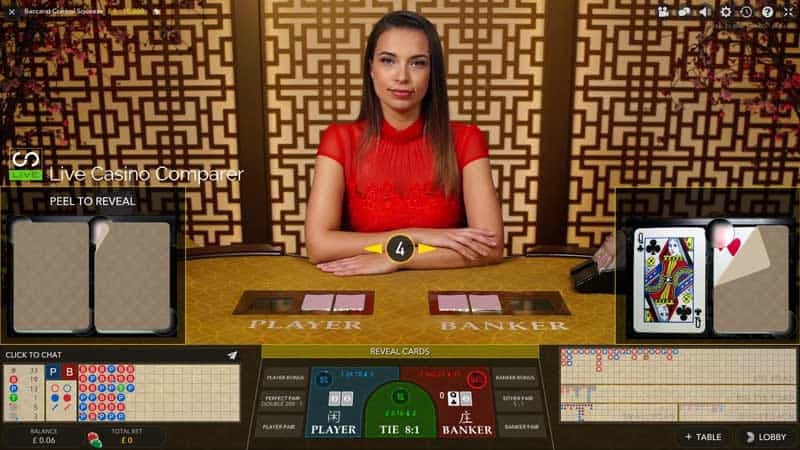 I’ve written a brief article on how to play live casino hold’em. You’ll find the game available at Playtech, Evolution and Ezugi powered casinos. Given the choice, I’d play at an Evolution casino like BetVictor. A progressive jackpot, Jumbo 7, is available at Evolution Live Casino Holdem casinos. Sic bo is an East Asian dice game where you are betting on the outcome of the roll of three dice. It’s very popular with East Asian players and East Asian casinos. If you want to play, thethere’s two great options. Sic Bo is available at Bet365 and Betfair. Super Sic Bo can be played at Leo Vegas, where additional random win multipliers are offered on some bets. My live sic bo article explains how to play and the various betting options available. 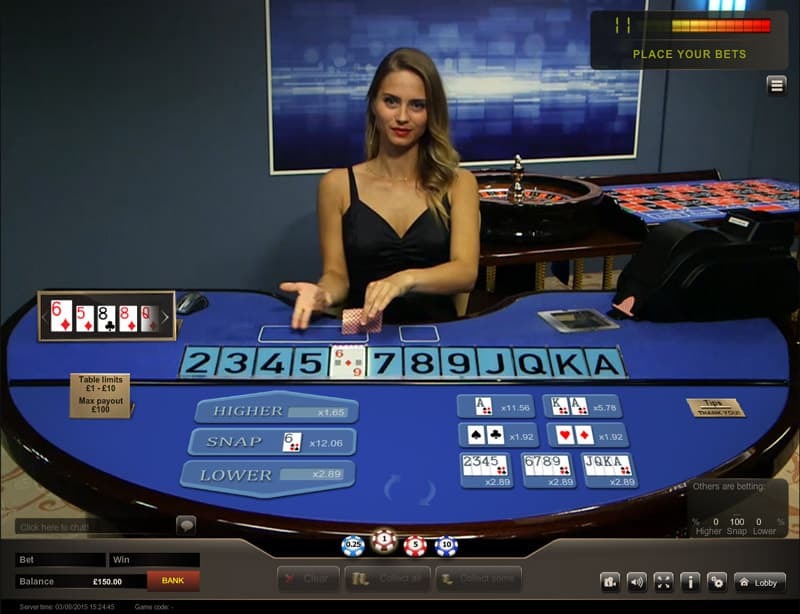 Live three-card poker is a relatively new addition to live casinos, and it’s currently only offered by Evolution software. It’s a three-card game where you and the dealer are both dealt three cards. The best poker hand wins! My live three-card poker article explains how to play. Unibet, Bet Victor, William Hill, and Grosvenor are currently very good places to play. This is another game favoured by east-Asian players. One card is dealt to the dealer (the dragon) and the other is dealt to the player (the tiger). Players bet on which card will be the highest. It’s a simple game, but it can be a lot of fun. Playtech casinos like Betfair has a good version of the game. All Evolution Casinos have it too. Live Caribbean poker is a relative newcomer to the live casino games. 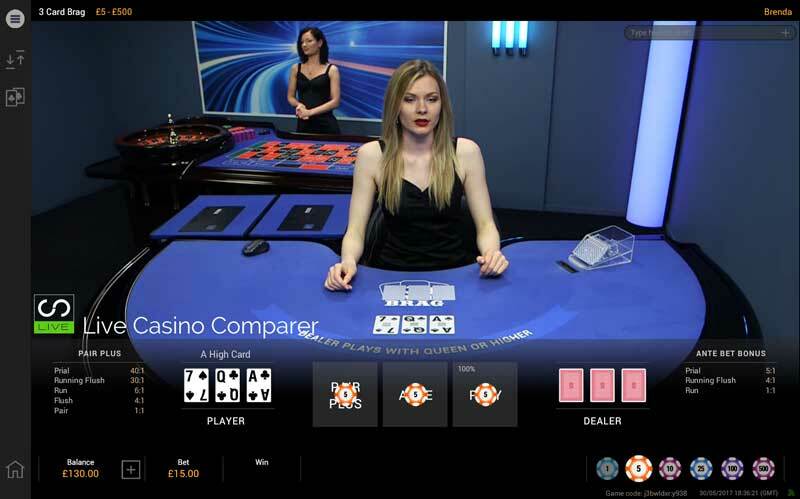 Three live casino software suppliers: XPROGaming, Vivo Gaming and Evolution Gaming all have versions of Live Caribbean poker. Players are dealt five cards and they have to get a better poker hand than the dealer to win. Evolution Gaming offers a version with a progressive jackpot. It’s not available at all casinos, though. You’ll find a full list on my page about Evolution’s live Caribbean Stud Poker. 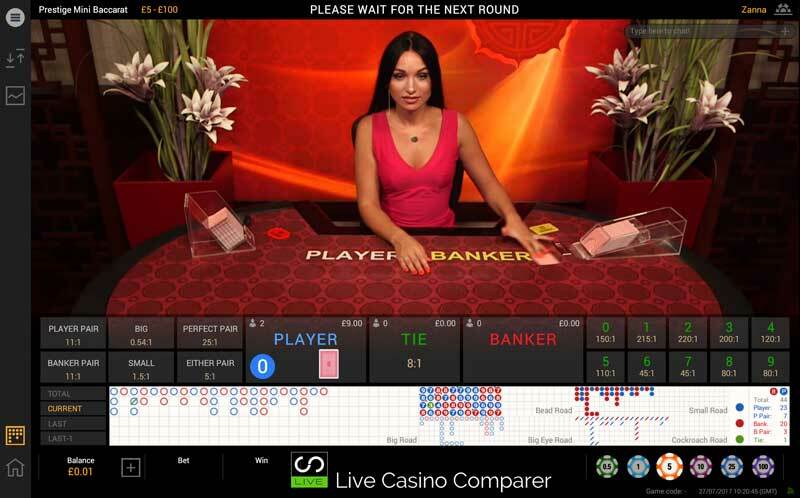 This is another version of the very popular Texas hold ‘em casino game. Unlike Casino hold’ em, though, this version deals to six player positions and you can choose to bet on one or many hands. The key difference with bet on poker is that after each card is dealt, there is a betting round. Each hand is assigned odds and you can also bet on what the value of the winning hand will be. The odds are adjusted after every new card is dealt. You are not playing against other players or the house; you are just betting on predicting the correct outcome of the game. As such, this games suits players that understand probability and odds. It’s not a quick game, so be prepared to spend some time playing each hand. You can play this at Vbet live casino. Exclusive to Evolution Gaming, ultimate Texas hold’ em is another poker-derived game — like casino hold ‘em and three card poker. The beauty of this version is you get to increase your bet as more cards are dealt. After you’ve been dealt your initial two cards, you can increase the ante bet up to four times. Or you can chose to bet when the flop has been dealt by increasing the ante bet two times. Alternatively you can wait unit the turn and river has been dealt before raising the ante bet one time. You only have to beat the dealer to win. The trips side bet adds some additional excitement, and this is where the real money can be made. William Hill is the only casino to have its own dedicated live ultimate Texas hold ‘em poker table. All other casinos use the general play table at the Evolution Studios in Latvia. This is another live dealer game that is exclusive to Evolution Gaming. In my opinion it’s a much better game than Ultimate Texas Hold’em because you can build your additional bets to 3 or 4 times the Ante as the cards are dealt. You’re not committed to deciding that after the first two cards are dealt. The side bets are also different because these pay out for pairs and high value combinations like Ace/King. The game is played against the dealer. One player hand is dealt that everyone bets on. 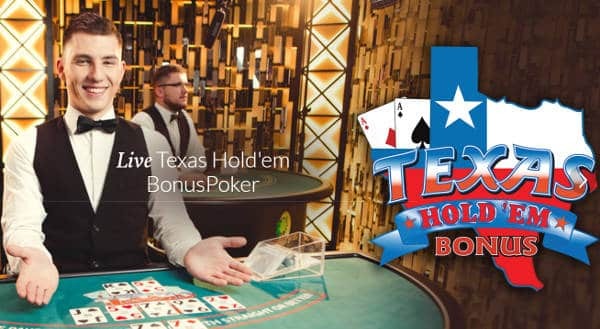 There’s a full review of Texas Hold’em poker here if you want more information. Popular places to play are Unibet and Mr Green. You’ll also be able to play a Progressive Jackpot at these casinos. 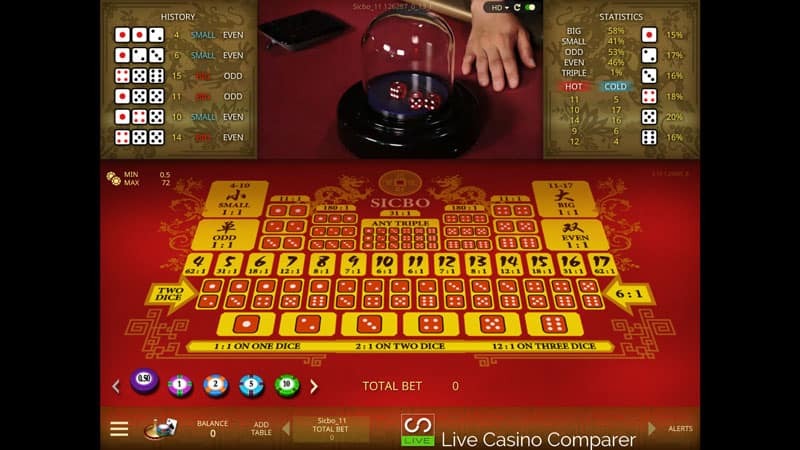 Live hi-lo is one of the more recent games to make the transition from land-based casinos and RNG games providers to online live casinos. It’s been developed by Playtech and the best place to play it at the moment is Betfair. It’s a simple game where you have to predict whether the next card dealt will be higher, lower, or the same as the previous one dealt. There are some more betting options and these are explained on my how to play hi-lo page. Live three-card brag is a Playtech only game that has been created to rival live three-card poker. Two three-card hands are dealt; one hand goes to the dealer and one hand goes to the player. The person with the best three-card poker valued hand wins. The main difference in the game is the hand rankings. A Prial (three of a kind) is the best hand in three-card brag, rather than a royal flush which is the top hand in three-card poker. Three card brag is a great game and a fun alternative to three card poker. You can play it at Betfair or Paddy Power. Over the past few years, wheels of fortune have become more and more popular. BetGames, for example, has a great wheel of fortune game. Evolution Gaming has also released their own version with a different name: Dream Catcher. 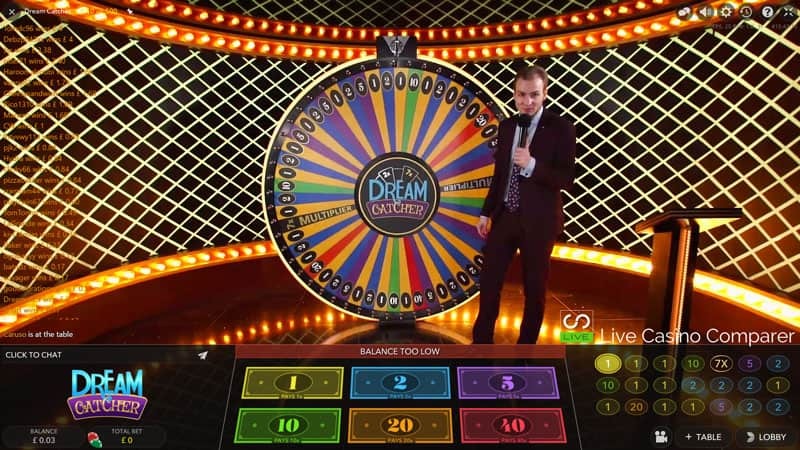 These wheel of fortune games have been developed as a crossover product for slot players. The Evolution version has a seven times multiplier that significantly raises the payouts if it’s hit. 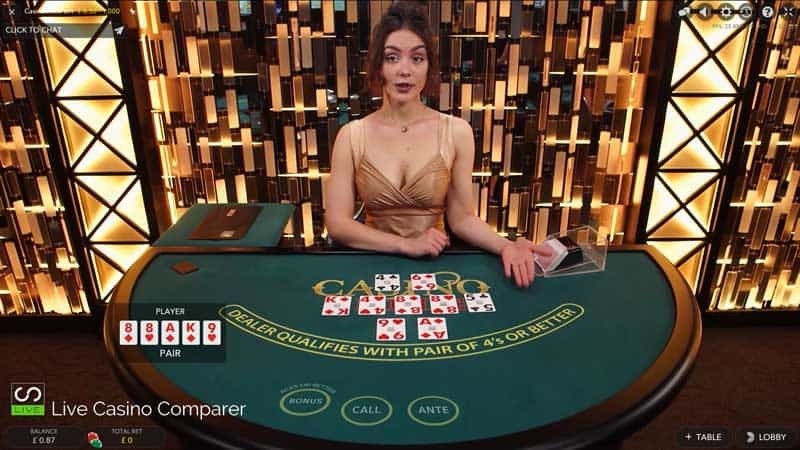 Bet on baccarat is an eight-deck game played to baccarat rules. The difference with this version is the multiple betting rounds. You can bet on different outcomes as the cards are dealt. Both Betconstruct and Betgames have versions of this game. It’s a good game for anyone looking for something different from the more traditional baccarat that’s out there. Russian poker is only currently available at betconstruct casinos. It’s a six-card variant of oasis poker, which is itself a variant of Caribbean stud poker. It’s played with one deck, and a player may bet on multiple hands. The aim is to beat the dealer with a better five-card poker hand than they get. 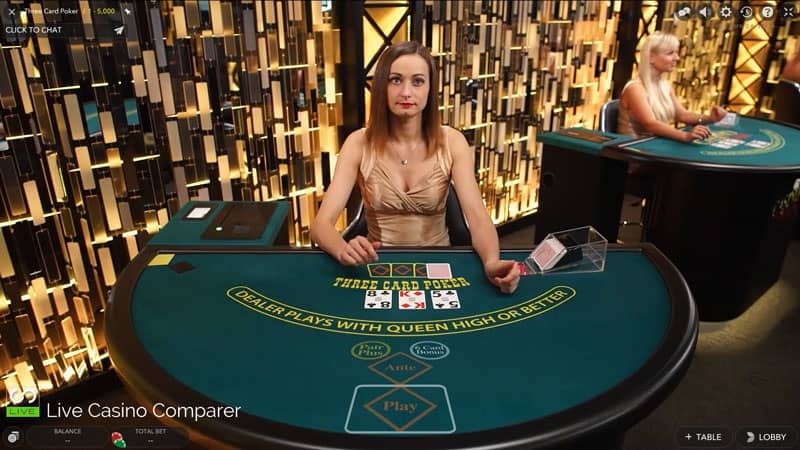 Players can also improve their hand by exchanging cards, buying extra cards, insuring against the dealer, qualifying, and buying the dealers qualification. Live casino games are here to stay. In fact, they’re likely to grow even more popular as big games from land-based casinos start becoming available at live online casinos. In the past, I predicted that hi-lo would eventually make the transition to live casinos, and then it did. If I had to guess, I’d say casino wars will also make the transition to live online casinos in the next few years. We’ll just have to wait and see whether the software developers are up for it. After all, there’s clearly a market for it!